Have you been impacted by crime in Vermont? 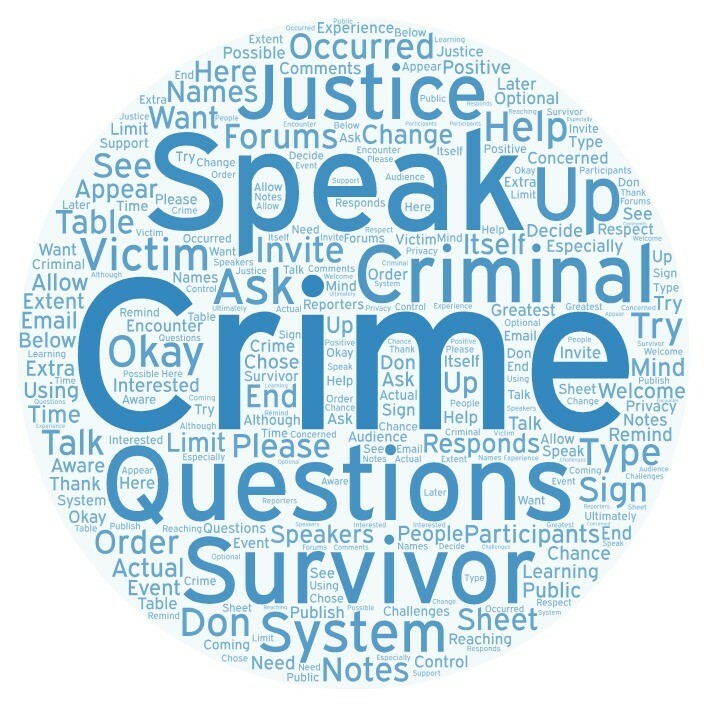 The Center for Crime Victim Services (CCVS) is hosting a series of forums around Vermont to provide an opportunity for all victims and survivors of crime, including business owners and family members, to share their experiences in the criminal justice system. Our goal is to ensure Vermont’s system is fair, accountable, and responsive to victim needs. Local stakeholders and service providers will be on hand to listen and provide support. We are here to help in any way we can. These events are free and open to the public. You can learn more about CCVS and the free services we provide at www.ccvs.vermont.gov. 4 Dates and Locations This Year! Mon. Oct. 15, 6:00 – 7:30 p.m.
Tues. Oct. 23, 6:00 – 7:30 p.m.
Tues. Oct. 30, 6:00 – 7:30 p.m.
Grand Isle: Grand Isle Sheriff’s Dept. Wed. Nov. 7, 6:00 – 7:30 p.m.